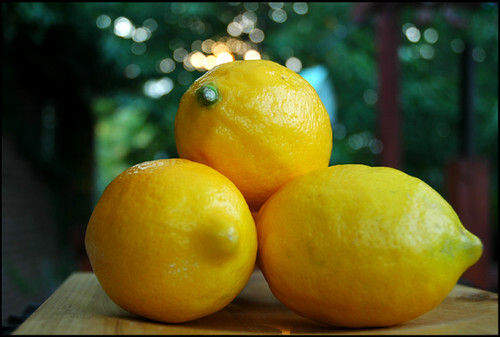 Two weeks ago I finally managed to get my hands on some of these amazing Meyer lemons. 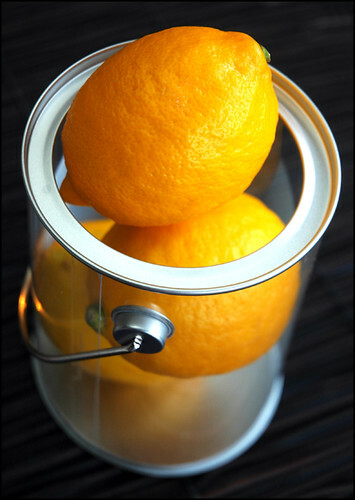 Use a vegetable peeler to peel all the lemons, being very careful not to include the bitter white pith. Pull out about four or five peels and set aside. 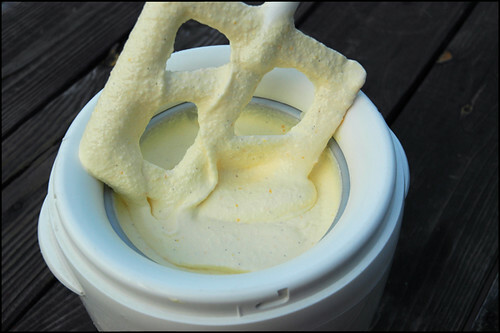 Place the remaining peels in a non-reactive saucepan with the sugar and half-and-half, the vanilla bean, and the scraped vanilla paste. Using a whisk, stir well and set the pot over medium heat, stirring constantly. Heat the mixture to just below boiling, remove from the heat, and set aside to steep for 10 to 15 minutes. Remove the peels and the vanilla bean. Finely chop the peels you set aside earlier. 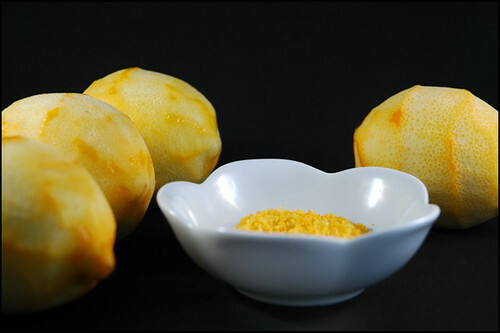 Squeeze the lemons into a measuring cup. You need about a half cup plus 2 tablespoons juice, straining out the pulp and seeds. Whisk the egg yolks in a glass bowl until just mixed. Temper the eggs by pouring in a little of the hot half-and-half mixture, stirring constantly with a whisk. Pour the warmed yolks back into the pan with the rest of the half-and-half mixture and cook over medium-low heat, stirring constantly, until the mixture coats the spoon, about 10 minutes. Pour through a strainer into the bowl, then add the grated lemon zest. Let the warm mixture sit for 10 minutes, then stir in the cream and lemon juice. Add the vanilla and more lemon juice if you’d like a more lemony flavor. 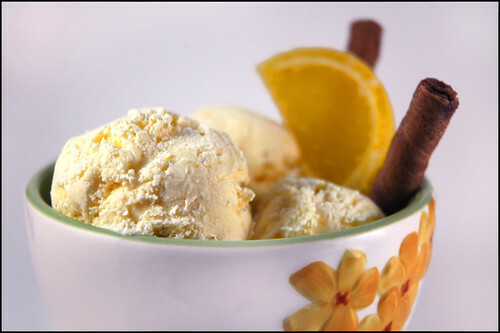 Chill thoroughly, then freeze according to the manufacturer’s directions for your ice cream maker. yum, this sounds very good! You pictures are amazing. Really beautiful. And this ice cream sounds so lovely!! 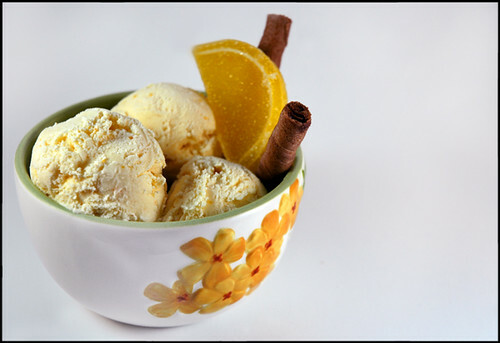 I love that combination of tangy meyer lemon and the sweetness of vanilla beans! how much does it make? !